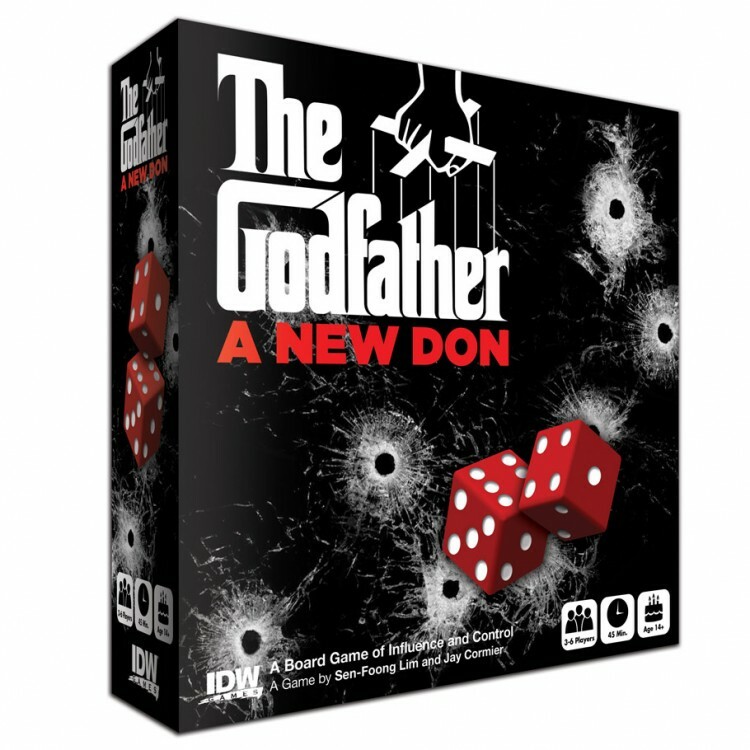 Godfather: A New Don is a dice-rolling area control game for 3-6 players. Each round players will use their individual dice pools to claim different neighborhoods from the boroughs of 1950's New York. However, the active Don can use his muscle to make each player an "offer they can't refuse" at the beginning of each turn, forcing players to choose between the Don's favor or his wrath. Power and control of the city swing quickly and violently in this 60-minute war for the throne.